MDA’s Community Funding Access Program provides assistance to Culturally and Linguistically Diverse (CALD) communities across Queensland to access funding to bring their project dreams into a reality. This mix of training, information and support, enhances CALD communities’ capacity to access vital funds whilst promoting cultural diversity in Queensland. MDA has been delivering this service for over ten years and is proudly supported by the Queensland Government through Multicultural Affairs Queensland, Department of Local Government, Racing and Multicultural Affairs. Purpose: The objective of Arts Business Innovation Fund (ABIF) is to strengthen not-for-profit arts businesses financially and operationally by responding to innovative business ideas that will achieve an organisation’s mission into the future. Focus: Through our Arts program area The Ian Potter Foundation aims to help build the calibre and capacity of Australia’s arts organisations and support them to raise the bar of aspiration and achievement in the sector. To support first-rate artistic institutions and organisations in metropolitan and regional Australia which are distinctive in artistic achievement, imagination and innovation in fostering development across a sector or art form. To support such institutions to host artists in high-calibre professional development and/or leadership opportunities of at least 12 months (e.g. fellowships, apprenticeships, mentorships, internships). Focus: Our Arts Projects program funds a range of activities that deliver benefits to the arts sector and wider public, including national and international audiences. Grants are available from $10,000 to $50,000. Supported activities must last no longer than three years from the proposed start date. – Tuesday 4 June for projects starting after 1 September 2019. – Tuesday 1 October for projects starting after 1 January 2020. – Each round closes at midnight on the closing date. Focus: The Indigenous Languages and Arts program (the Program) is part of a suite of programs under the Australian Government’s commitment to Arts and Cultural Development. The Arts and Cultural Development objective is to support and promote participation in, and access to, Australia’s arts and culture, including by supporting excellence in the arts, supporting indigenous arts, cultures and languages, and protecting Australia’s movable cultural heritage. the continued production, exhibition, critique, purchase and collection of Indigenous visual art. Focus: The Cultural Trust is committed to encouraging excellence and supporting a vibrant, world-class arts scene in Australia. The Cultural Trust offers grants up to $10,000 to assist talented emerging and early career artists to take up professional development opportunities, usually overseas. (3) Tuesday 14 January 2020 – For Projects/Travel After Friday 8 May 2020. Focus: The PPCA Performers’ Trust Foundation provides grants to promote and encourage music and the music-related performing arts. There is no specific format for applications except that they must be in writing and include the Standard Cover Sheet. Focus: To support the delivery of performing and visual arts projects that are ready to tour and have demonstrated community interest and confirmed demand. Focus: Provides funding to support individuals, organisations or collectives to deliver vibrant and accessible arts and cultural experiences for Queensland. Funding of up to $5,000 (excluding GST) is available as a reimbursement for eligible individuals or organisations to host an event that creates an educational and/or collaborative community experience as part of QSBW 2019. Applications for the Queensland Community Foundation (QCF) General Fund 2019 grant round are now open. Mid-tier organisations promoting social cohesion and fostering community integration, primarily in the arts, the environment including but not limited to drought, and indigenous languages. Typically, capacity building focuses on education and training, recruiting, maintaining or recognising volunteers, information technology support systems, training, and planning and governance which may include strategic plans, constitution reviews or board appraisals. Grants up to a maximum of $30,000. Focus: The Accelerate Small Business Grants Program provides targeted assistance to small businesses that demonstrate high-growth and employment aspirations, to enable them to engage high-level experts and strategic advisors to work closely with them in their business. Focus: The Social Enterprise Development and Investment Funds (SEDIF) improves access to finance and support for social enterprises to help them grow their business and increase the impact of their work in their communities. Social enterprises can contact the SEDIF fund managers directly to discuss their financing needs. Email [email protected] or call 13 62 68. Each year, ACF makes hundreds of grants to support charitable organisations and projects all around the country and internationally. Funding requests are currently being accepted by email. You are welcome to submit your request on the following template: Funding Request Template and email it to: [email protected] with the subject: “Funding Request”. provide opportunities for EPIC to connect with potential job seekers and employers. Land and Water – Protection, restoration, rehabilitation and revegetation of degraded habitats to ensure their ability to sustain native species. Threatened Species – Scientific research with tangible conservation outcomes and on-ground works to conserve Australia’s threatened species. Cultural Heritage – Conserving and celebrating Australia’s cultural heritage as part of the gift we leave to future generations. Parks for People – Improving National Park facilities for the enjoyment of all, to foster and encourage the appreciation of nature. Focus: To enable Aboriginal and Torres Strait Islander people, communities and service providers to seek grant funding to address emerging needs and/or opportunities that they have identified as priorities. The IOOF Foundation are committed to creating opportunities for disadvantaged families, youth and the aged, by investing in initiatives that improve quality of life and help others achieve their potential to meaningfully participate in the community. The Foundation provides grants that support Australian not-for-profit organisations working with disadvantaged families, disadvantaged children and youth and aged care. Focus: The program actively supports advancement in education, health and welfare, and cultural and sporting initiatives. Applications will only be expected form these areas: Brisbane City Council, Isaac Regional Council, Central Highlands Regional Council, Toowoomba Regional Council, Fraser Coast Regional Council, Western Downs Regional Council, and Ipswich City Council. Focus: To supporting activities that make a genuine ‘quality of life’ contribution to the communities that host Stanwell assets, in the South Burnett and Rockhampton regions, Mount Isa, Cairns, Tully and Ipswich. making a long-lasting difference to the community that may not otherwise have been possible without grant support. Round 13 now open. Outcomes announced mid July 2019 for applications received by 30 April 2019. Note: EOIs for large grants must be received by 11 April 2019. Round 14: Late September 2019 for applications received by 8 July 2019. EOIs for the $150K tier must be received by 25 June 2019. Round 15: Early December 2019 for applications received by 25 September 2019. EOIs for the $150K tier must be received by 5 Sept. 2019. Round 16: Late February 2020 for applications received by 16 December 2019. EOIs for the $150K tier must be received by 27 Nov. 2019. (1)Applications must be received by 26 March for funds to be awarded in June. (2) Applications must be received by 25 June for funds to be awarded in September. (3) Applications must be received by 24 September for funds to be awarded in December. Community Fund is a grant program that provides funding to not-for-profit community groups and organisations. This funding empowers groups to make a difference in their community. We look for ideas that encourage community identity and wellbeing, support local prosperity, and are innovative, or enable access to future solutions. Your project might support disaster recovery, diversity and inclusion, education, energy and environmental conservation, electrical safety or renewable energy projects, or provide essential equipment or facilities to the local community. 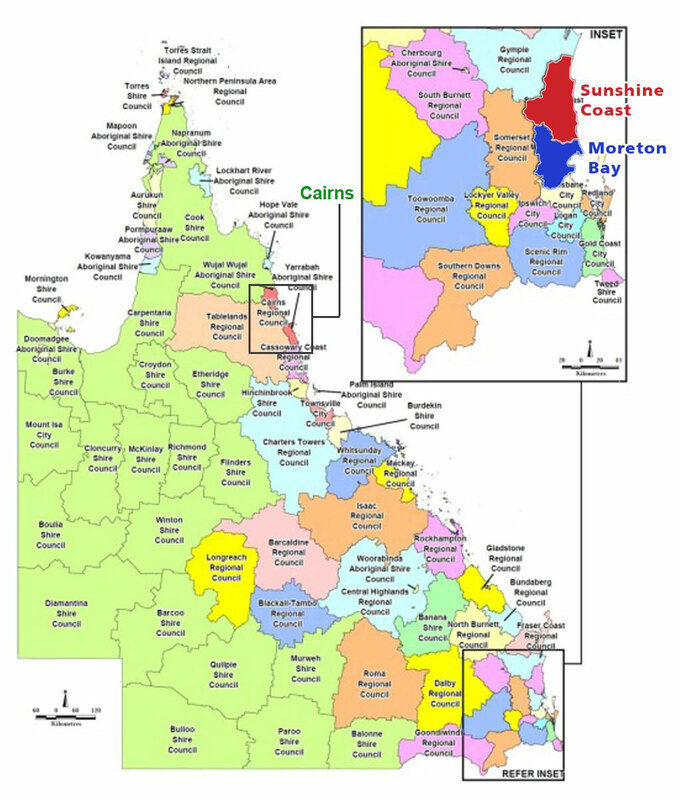 If your project will take place in Energex’s South East Queensland network area – that’s from the state’s border north to Gympie, and west to the base of the Great Dividing Range – please apply to Energex. For all other Queensland locations, please apply to Ergon. Focus: Career Development Grants aim to assist individual artists, arts workers or groups of artists by providing support to further develop skills or improve capacity to build an enduring career in the arts. These grants can support a broad range of activities such as skills and professional development, mentorships, showcases, residencies and other projects directly related to your career development. Supported activities must last no longer than two years from the proposed start date. (1) Tuesday 5 February for projects starting after 1 May, 2019. (3) Tuesday 1 October for projects starting after 1 January 2020. Each round closes at midnight on the closing date. Participants exercise choice and control. Participants receive reasonable and necessary supports where and when they need them. NDIS providers are delivering supports and services efficiently and sustainably. Focus: The Department of Education and Training provides financial assistance to subsidise additional costs incurred by apprentices and trainees who travel specified distances to attend off-the-job training, which is undertaken by them as part of their apprenticeship and traineeship training contract. Focus: The Queensland Destination Events Program (QDEP), formerly the Regional Development Program (RDP), seeks to leverage the crucial link between events and the destinations in which they are staged, extending the flow of the economic, marketing and social benefits of events throughout metropolitan and regional Queensland. (1) Round 13: Opens 13 March and closes June 2019: Eligible Event Dates: January 2020 – January 2021. (2) Round 14: Opens 14 July and closes October – 2019: Eligible Event Dates: May 2020 – May 2021. Focus: The Inclusive Kids Community Grants Fund aims to assist children who are disadvantaged, by providing small grants to assist with their day to day care or to purchase items that will create better inclusion in community life for these children. This Grants Fund is open to individuals aged 0 – 18 years who live in one of the various areas in which the Grants Fund operates (for details of these areas, click here). Focus: The Indigenous Youth Mobility Pathways project (IYMP) supports Aboriginal and Torres Strait Islander young people who choose to move away from home to gain the qualifications they need to have a greater chance of obtaining sustainable employment in their home community or elsewhere. The project is aimed primarily at young Aboriginal and Torres Strait Islander people from remote areas ages 16 – 24 (participants may commence a course at any time before they turn 25 years old and may be supported until the conclusion of that course). Focus: Transition to Independent Living Allowance (TILA) is a payment of up to $1,500 to help eligible young people cover some basic costs as they leave out-of-home care. Talk to your case worker if you think you might be eligible as only a case worker can apply for TILA on your behalf. Focus: The Local Sporting Champions (LSC) program is an Australian Government initiative designed to provide financial assistance for young sportsmen and women aged 12-18. Providing programs primarily targeting school retention and increased education achievement for students who are at risk of dropping out of school or who have already dropped out. The focus is on early identification, customised learning and mentoring. Providing programs that target employment skills development, employment and career pathways and transitions into employment. Providing programs that target social and community connectedness, personal significance and social and emotional outcomes. Providing services in geographical areas across Australia where funding is difficult to source. Focus: The Network Capacity Building grant is for large community organisations, with strong networks to become ambassadors of the Be Connected Network that aims to foster social inclusion of older Australians (50+) by teaching them teach digital literacy skills. The funding can be spent on activity that can be justified as supporting older Australians to gain basic digital skills and confidence, under three different types of grants: Activation, Building Digital Skills, and Capacity Building. Organisations who would like to apply for a Network Capacity Building grant must be a Network Partner within the Be Connected network. If you are not yet a Network Partner, please click here to join. Focus: Jetstar’s Flying Start Program invites community groups and organisations across Australia to apply for a grant to fund a project that will enrich the lives of people in their local community. Opening and closing dates vary across the different grants. Community Donations Program, which is a general pool of funds for a range of community-based organisations and administered by Council’s Community Wellbeing Department. Sport & Recreation Grants, which are open only to sporting, active recreation groups and organisations servicing the Gladstone Region. If you have any enquiries about these programs please contact Community Engagement Centre on email [email protected] or phone (07) 4976 6300. Council provides funding for non-profit and community based organisations through the Arts, Social Development and Community Engagement Department in the areas of community and cultural development that enables Council to form partnerships with community based organisations for projects that may not receive funding from other sources. Applicants are encouraged to read the Community Grants and In-Kind Assistance Applicant Guidelines and Grants Donations Bursaries And Scholarships Policy to determine their eligibility and for further information. Focus: Logan City Council offers a number of grants available to community organisations, individuals, clubs and services. The grants cover a range of areas and interests from sports, arts, events, programing, environment, education and individual aspirations. For more information please read Community Grants Help Guide. If you still need assistance with your application call 1300 622 529. Applicants are strongly encouraged to read the Moreton Bay Regional Council’s Community Grants Program Guidelines to determine their eligibility and for further information about each funding opportunity. Community Grants – For programs and projects with a specific purpose and outcome. Sponsorship – For an event, project, service or activity which provides commercial benefits to Council and the community. Councillors’ Small Grants – Offering small amounts of assistance to organisations, and supporting individuals to achieve excellence at a high-level. Regional Arts Development Fund – Supporting emerging artists to develop their skills and profile in the Redlands. For more information contact a Community Liaison Officer by calling 131 872, or email [email protected] and ask to speak to your local CLO. Townsville City Council’s Community Grants and Sponsorships Scheme supports local initiatives and pursuits of excellence that enhance community wellbeing and opportunity via the provision of financial assistance to community organisations and individuals. An acquittal is a document, provided by the grantmaker, which requires you to report on how you have spent their money. An acquittal is completed once your project has finished. It will ask for information on your project income and expenditure, project description, and achieved outcomes. It may also ask for feedback, surveys, and images of your event/project. An applicant is the person or group applying for the grant. A Not-For-Profit community group that is not incorporated must have their application ‘auspiced’ by an incorporated organisation. The role of an auspicing organisation is to support the community group with their project and to submit the application on their behalf. If the application is successful, the auspice will provide support by monitoring the project as well as receive and distribute the funding so that the community group can complete the funded project. The auspice organisation also submits the acquittal. Auspicing organisations may charge a grants administration fee to perform this role for the unincorporated group. This is known as an ‘auspice fee’. An Australian Business Number (ABN) is a unique 11 digit number that identifies your business to the government and community. Applying for an ABN is free. A good, or helpful thing. Something that promotes or enhances well-being; an advantage. In a grant application, you will be asked to state the ‘benefits’ of the project/event for which you are asking funding for. This is a very important part of the application because if you do not state the benefits for your community, and the wider community, the grantmaker will not be convinced of your project idea and you will not receive funding from them. A budget is the part of the application form that contains financial details details of your project/event – income and expenses. The grantmaker usually provides a budget template for you in the application form and it will have two columns, income and expenses. In a budget, the total figure of your income must be the same figure as the total of your expenses. Capital works are projects which involve building, refurbishing, or renovating. For example, new fences, disability ramps, toilet blocks, shade sails, playground etc. A charity is a type of organisation that raises funds for, or offers support to, the disadvantaged in society such as people, animals, and the environment. In a tax and grants conversation, this word refers to organisations which the Australian Taxation Office (ATO) has endorsed as a Tax Concession Charity (TCC). Please visit https://www.ato.gov.au/ for further details on registering your organisation as a charity. Some grants, usually philanthropic grants, require your organisation to have Deductible Gift Recipient (DGR) status. Many groups and organisations do not have DGR status because it is a complicated process to go through. If you want DGR status, you will need to go to a specialist lawyer. Please visit https://www.ato.gov.au/ for further details on becoming a DGR. Money made available for a particular purpose. The act of collecting money for a particular purpose. For example, gold coin donations at a community BBQ event, or raffles. A grant is a gift, usually money, given for the common good. Grants are given for a particular purpose. An individual/organisation that makes the grant available and provides the funds to applicants. A group or individual or organisation who are looking for funds and/or are applying for funds through an application. The organisation or individual who has received the funds. Once your group feels established and stable, you may want to consider becoming legally formalised. This is known as Incorporation. When you incorporate, you are creating a separate legal entity, similar to a business. Becoming incorporated allows your group to apply for funds on their own, without the need for an auspice. Each state and territory in Australia has its own Associations Incorporation Act, and Regulations. In-kind support is the non-cash contribution to your event or project, such as donations of equipment or time. For example, free use of a venue, stationary, equipment, volunteer labour hours, etc. Philanthropy is the generous giving of private money to help make life better for the public. Rich individuals, families, and organisations (sometimes known as ‘foundations’ or trusts’) will often provide philanthropic funds to communities in the spirit of goodwill. Your organisation will almost always require Deductible Gift Recipient (DGR) status to be eligible for philanthropic funds.